"We unequivocally condemn the heinous attacks carried out today against Israel, apparently by Islamic Jihad in the Gaza Strip. 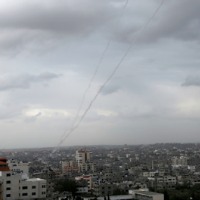 This firing of rockets into Israel, threatening Israeli civilians, is terrorism, pure and simple. We support Israel's right to defend itself and its duty to defend its citizens in the face of such attacks. In exercising this sovereign right of self defense, we urge Israel to pay attention to past experience, seeking both to avoid harming Palestinian civilians and to avert a potentially disastrous cycle of escalation. Our thoughts are with Israel's citizens living in the shadow of these rockets, as well as with Gaza's civilians, whose welfare, too, is being treated with callous disregard by violent Palestinian extremists." Americans for Peace Now (APN) mourns the death of Ambassador Samuel Lewis, a distinguished American diplomat and a leading expert on US Middle East policy, a staunch supporter of Arab-Israeli peace, a true friend of Israel and an influential activist for Israeli-Palestinian peace. APN's President and CEO Debra DeLee said: "Sam's passing is a terrible loss to the peace movement and to those who knew him and deeply appreciated him as a human being. He was a man with a big intellect and a big heart, whose pro-peace positions were guided by a moral compass and by a deep commitment to the national security of the United States and to the wellbeing of the state of Israel. In response to today's ruling by Israel's High Court of Justice (Supreme Court) regarding settler claims to ownership of a large house in Hebron, Americans for Peace Now (APN) joins its Israeli sister organization Shalom Achshav (Peace Now) in calling on Israeli Prime Minister Benjamin Netanyahu and his Minister of Defense Moshe Ya'alon to use their legal authority to prevent the creation of another settlement stronghold in Hebron. The Supreme Court today rejected an appeal by two Palestinians of a lower court ruling that the property was bought legally by Jewish settlers. Following the Supreme Court ruling, the settlers could move into the house, if the Minister of Defense approves it. As Israeli Prime Minister Benjamin Netanyahu landed in Washington today, the Israeli government’s Central Bureau of Statistics issued a report showing a whopping 123% surge in West Bank settlement construction in 2013, more than double the number of new settlement homes built in 2012. The data was analyzed and highlighted today by Israel’s Peace Now (Shalom Achshav) movement. It confirms past interim reports by Peace Now’s Settlement Watch Project. 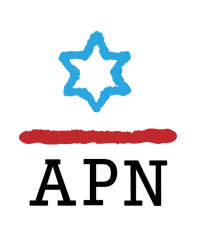 Americans for Peace Now (APN), Shalom Achshav’s US sister-organization, joins Peace Now in condemning Netanyahu’s government for this reckless policy of settlement construction. Washington, DC – Americans for Peace Now (APN) thanks the 104 members of the House of Representatives, Republicans and Democrats, who today sent a letter to President Obama supporting the current diplomatic efforts to resolve concerns over Iran's nuclear program. APN strongly supported the letter and urged House members to sign it. 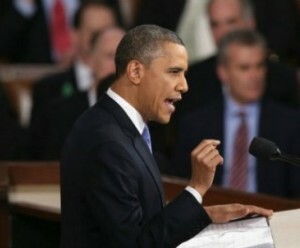 In his State of the Union address last night, President Obama addressed in detail the issues that are at the heart of APN's mission and activities. Washington, DC - Americans for Peace Now (APN) urges American Jewish organizations to join it and its Israeli sister organization, Israel’s Peace Now movement, in condemning Israel’s Defense Minister Moshe Yaalon’s offensive comments, lambasting Secretary of State John Kerry for his efforts to broker peace for Israel. State Department Spokesperson, Jennifer Psaki, called Yaalon’s remarks "offensive and inappropriate, especially given all that the U.S. is doing to support Israel's security needs." She added that “to question Secretary Kerry's motives and distort his proposal is not something we would expect from the defense minister of a close ally." Several members of the Israeli cabinet also criticized Yaalon’s comments, as did Israel’s Peace Now movement, Shalom Achshav. 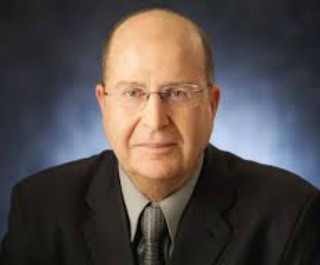 APN, the US sister-organization of Shalom Achshav, is outraged at Yaalon’s comments, and urges fellow American Jewish organizations to join it by speaking out against his tirade. Washington, DC - Responding to news that the Obama Administration and its international partners had reached an agreement with Iran to implement the Joint Plan of Action signed in November 2013, Americans for Peace Now (APN) is calling on Congress to support President Obama’s diplomatic effort and is urging fellow American Jewish organizations to stop their campaign in support of new Iran sanctions. 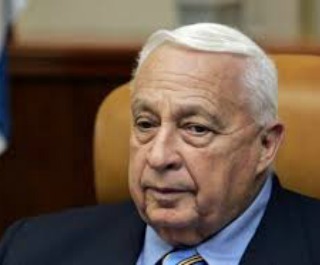 Americans for Peace Now (APN) stands with the people of Israel as they mourn the death of former prime minister Ariel Sharon. APN's President and CEO Debra DeLee said: "Israelis today are saying farewell to a bold leader who toward the end of his political career was transformed from a staunch hawk who initiated war and provocative belligerent actions to a leader who recognized that Israel's strategic interests lie in an agreement with the Palestinians. Washington, DC - Americans for Peace Now (APN) joins its Israeli sister organization, Israel's Peace Now movement, in strongly criticizing the government of Israel's issuing new tenders for 1,877 new housing units in settlements in the West Bank and East Jerusalem.